Travelling by taxi has never been this easy! 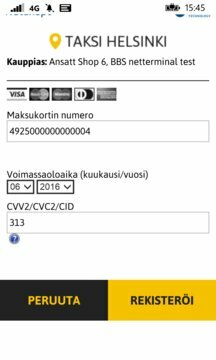 The new Taksi Helsinki app allows you to order a taxi, pay and get a receipt – all electronically through the app! -	When making the booking, you receive both a reservation number and the taxi number itself – no more wondering whether the car in front of you is the one you ordered or not! -	As you arrive to your destination, no need to wait and pay – the app charges the ride from your card and you get the receipt delivered to your email! 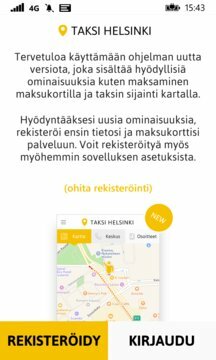 Taksi Helsinki – Wherever You Are.